The 15-slot family member of Tellabs 8800 series of multiservice routers is the Tellabs 8840 MSR, which still delivers top-quality performance for your carrier-class services and functionality requirements. 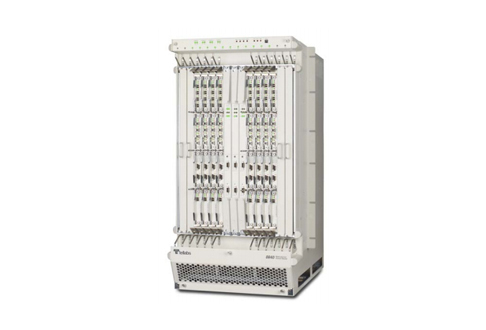 Scale easily and exceed demands with this leading multiservice edge router. Whether you’re in the process of migrating your network to the latest technology, need to ensure QoS applications can reach every customer or want the latest in MPLS traffic engineering, the Tellabs 8840 MSR is one of the most efficient and effective choices on the market. Reduce your Capex with a used Tellabs 8840 MSR that was created to consolidate network infrastructure and collapse multiple overlay networks into smaller solutions, reducing the total network elements you need to have on hand. Worldwide Supply powers carriers to take advantage of this consolidation and affordable technology at an even smarter rate by providing refurbished Tellabs 8840 MSRs and others that are proven reliable and more cost-effective than new units straight from the OEM.